Making tracks | Paul Hassing's autobiography. Why were these so damn popular? Primary school was a great place for fads – some of which became crazes. 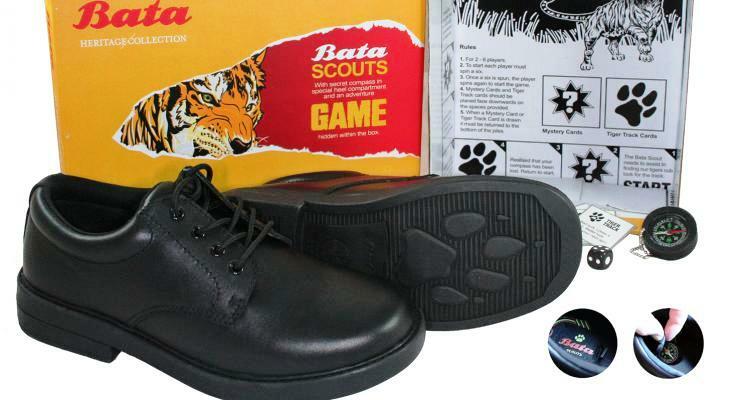 One that swept my school (and, from my reading, many more) was Bata Scouts. The key attraction of these shoes was that their soles left paw prints. The kids went insane for them and badgered their parents until, one by one, almost everyone had a pair. And those who didn’t suffered agonies of exclusion. My family was middle middle class – with scant funds for footwear frippery. I can’t recall if my imprecations alone were enough to sway my parents. Perhaps, on investigation, Mum ascertained that the shoes were well made – thus constituting good value. The shoes were certainly comfortable, and lasted at least as long as bog-ordinary Clarks Shoes. Perhaps Mum granted my wish to ‘belong’ while presenting a superior home economics case to dad. Anyway, the day I finally got my pair, along with its spy-related paraphernalia, felt a bit like xmas. I recall seeking pristine dust patches, to leave perfect prints within. But what was the intense attraction? Did I and my peers, still young enough to feel our animal natures, revel in the chance to display these to the world? Or did we, acutely disempowered by size and youth, crave atavistic abilities to help us endure home, school and wider life? And I don’t think Bata knew. But it was obviously such a winner that they’ve just re-released this decades-old brand. Mired to their devices, will today’s kids even notice – let alone be impressed? I remember them and badly wanted them too but I don’t think they made them for girls. Either that or Mum was too cheap. I remember the Bata Scouts! They left a cool lion paw print. We could only afford Bata Goats, though, which left a telltale cloven-hoofed mark. Me and my brothers had to approach school from upwind. Nice memories. A little misty and watercoloured, but nice.